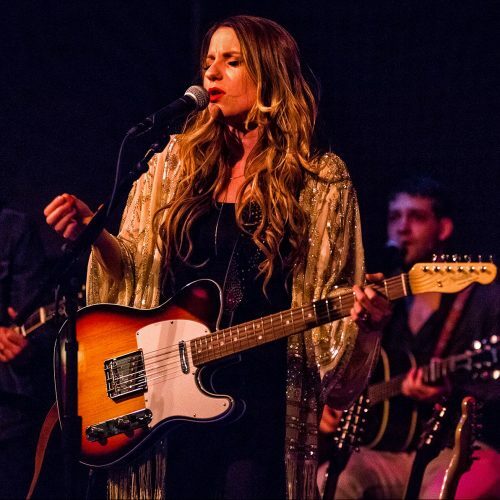 Caitlyn Smith kicked off her first-ever headlining Starfire Tour last night at Northampton, Massachusetts’s Iron Horse Music Hall. The twenty-four-date tour will take Smith across the country with stops in Boston, New York, Philadelphia, Washington DC, Chicago and Atlanta before wrapping on May 10 at Nashville, Tennessee’s Mercy Lounge. The tour is in support of Smith’s debut album Starfire, released earlier this year on Monument Records. The Cannon Falls, Minnesota-native cut her teeth in the clubs of Minnesota’s Twin Cities where she discovered her love for songwriting and performing. That passion led her to Music City and years spent writing for other artists including James Bay, Garth Brooks, Dolly Parton, John Legend, and Meghan Trainor, before finding her own voice and expressing what she wanted to say as an artist in her own right. And Smith shows no signs of slowing down! Following the Starfire Tour, the road warrior will join Grammy® Award winning superstars Tim McGraw and Faith Hill for the summer leg of their Soul2Soul World Tour. She will serve as opening act from the tour kick-off date – May 31 in Richmond, Virginia until June 23 in Duluth, Georgia. For tickets to the Starfire Tour or to find out if Smith will be playing in a city near you, visit CaitlynSmith.com.